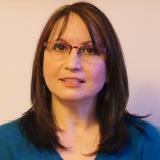 Tatyana M. Timiryasova, DVM, PhD as a Director of Clinical Support in the Global Clinical Immunology, Sanofi Pasteur, leads the management of clinical trial samples, cell culture, and reagents used in the test methods in support of clinical testing. Dr. Timiryasova has more than 25 years of broad experience in vaccine and cancer research, immunology and virology with extensive experience in assay development, validation, and technology transfer, and in leading and handling diverse projects in multi-functional areas. Her expertise also extends to multiple disciplines needed to move products from discovery research to clinical testing, and to licensure. Check out the incredible speaker line-up to see who will be joining Tatyana.